"Dewey Defeats Truman" was an incorrect banner headline on the front page of the Chicago Daily Tribune on November 3, 1948, the day after incumbent United States President, Harry S. Truman, won an upset victory over Republican challenger and Governor of New York, Thomas E. Dewey, in the 1948 presidential election. It was famously held up by Truman at a public appearance following his successful election, smiling triumphantly at the error. The erroneous headline of the Chicago Daily Tribune (which later shortened its name to Chicago Tribune) became ill-famed after a jubilant Truman was photographed holding a copy of the paper during a stop at St. Louis Union Station while returning by train from his home in Independence, Missouri, to Washington, D.C. The Tribune, which had once referred to Truman as a "nincompoop", was a famously Republican-leaning paper. In a retrospective article some 60 years later about the newspaper's most famous and embarrassing headline, the Tribune wrote that Truman "had as low an opinion of the Tribune as it did of him". For about a year prior to the 1948 election, the printers who operated the linotype machines at the Chicago Tribune and other Chicago papers had been on strike, in protest of the Taft–Hartley Act. Around the same time, the Tribune had switched to a method by which copy for the paper was composed on typewriters, photographed, and then engraved onto the printing plates. This process required the paper to go to press several hours earlier than usual. On election night, this earlier press deadline required the first post-election issue of the Tribune to go to press before even the East Coast states had reported many results from the polling places. The paper relied on its veteran Washington correspondent and political analyst Arthur Sears Henning, who had predicted the winner in four out of five presidential contests in the past 20 years. Conventional wisdom, supported by polls, was almost unanimous that a Dewey presidency was "inevitable", and that the New York governor would win the election handily. The first (one-star) edition of the Tribune therefore went to press with the banner headline "DEWEY DEFEATS TRUMAN". 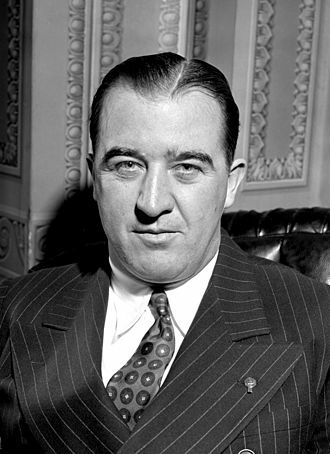 The story by Tribune correspondent Henning also reported Republican control of the House of Representatives and Senate that would work with President-elect Dewey. 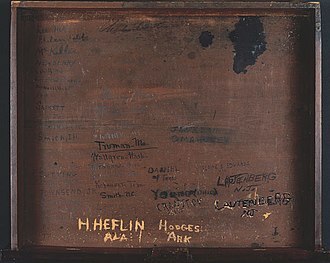 Henning wrote that "Dewey and Warren won a sweeping victory in the presidential election yesterday. The early returns showed the Republican ticket leading Truman and Barkley pretty consistently in the western and southern states" and added that "indications were that the complete returns would disclose that Dewey won the presidency by an overwhelming majority of the electoral vote". 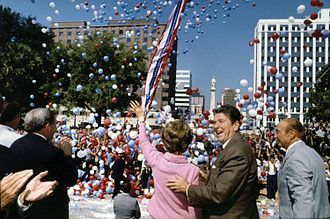 As returns began to indicate a close race later in the evening, Henning continued to stick to his prediction, and thousands of papers continued to roll off the presses with the banner headline predicting a Dewey victory. Even after the paper's lead story was rewritten to emphasize local races and to indicate the narrowness of Dewey's lead in the national race, the same banner headline was left on the front page. Only late in the evening, after press dispatches cast doubt upon the certainty of Dewey's victory, did the Tribune change the headline to "DEMOCRATS MAKE SWEEP OF STATE OFFICES" for the later two-star edition. Some 150,000 copies of the paper had already been printed with the erroneous headline before the gaffe was corrected. 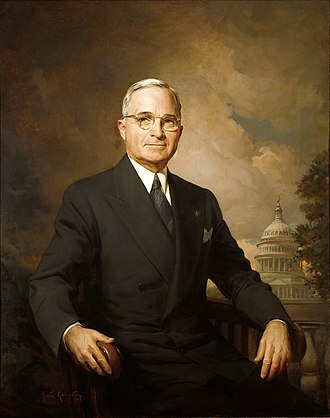 Truman, as it turned out, won the electoral vote by a 303–189–39 majority over Dewey and Dixiecrat candidate Strom Thurmond, though a swing of less than one percent of the popular vote in Ohio, Illinois, and California would have produced a Dewey victory. 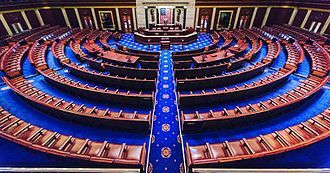 Instead of a Republican sweep of the White House and retention of both houses of Congress, the Democrats not only won the Presidency but also took control of the Senate and the House of Representatives. 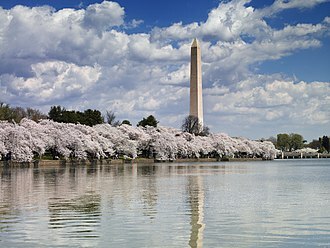 The incident might have been forgotten, except that when Truman was passing through St. Louis on the way to Washington two days later, he stepped to the rear platform of his train car, the Ferdinand Magellan, and was handed a copy of the Tribune early edition. Happy to exult in the paper's error, he held it up for the photographers gathered at the station, and the famous picture (in several versions) was taken. Henning's obituary in 1966, published in the Tribune, makes no mention of the event. 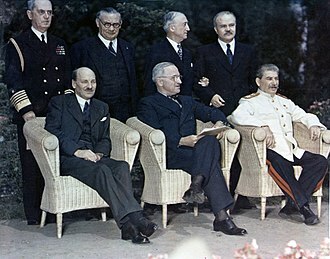 Truman reportedly smiled and said, "That ain't the way I heard it!" Tribune publishers could laugh about the blunder years later and had planned to give Truman a plaque with a replica of the erroneous banner headline on the 25th anniversary of the 1948 election. 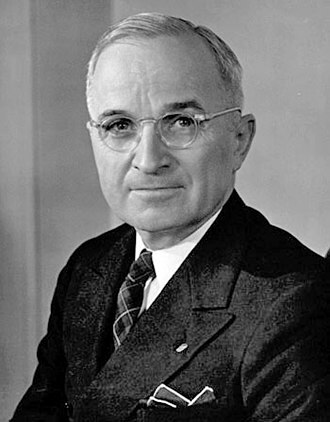 However, Truman died on December 26, 1972, before the gift could be bestowed. The Tribune was not the only paper to make the mistake. 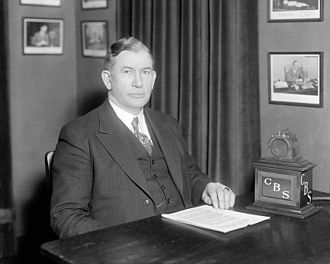 The Journal of Commerce had eight articles in its edition of November 3 about what could be expected of President Dewey. 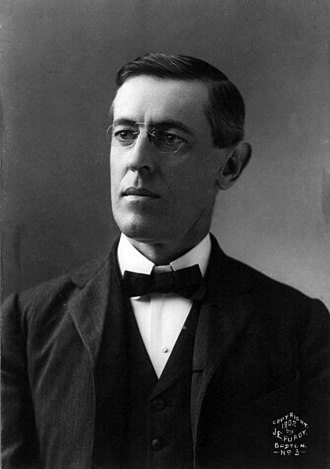 The paper's five-column headline read, "Dewey Victory Seen as Mandate to Open New Era of Government-Business Harmony, Public Confidence". Over 30 years earlier, the San Francisco Chronicle also took a journalistically-misguided gamble on the outcome of a presidential election. A streaming front page headline for November 8, 1916, proclaimed "Hughes Probably Elected", a reference to the Republican Charles Evans Hughes and his Vice-President Charles Warren Fairbanks (large images of both men were displayed on the page). 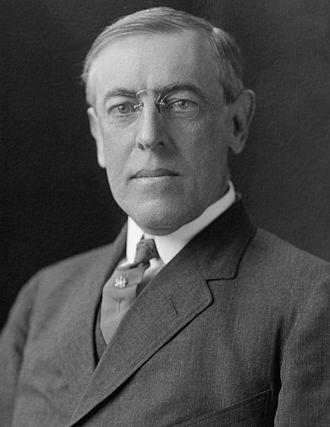 As it turned out, Democratic President Woodrow Wilson narrowly won re-election. 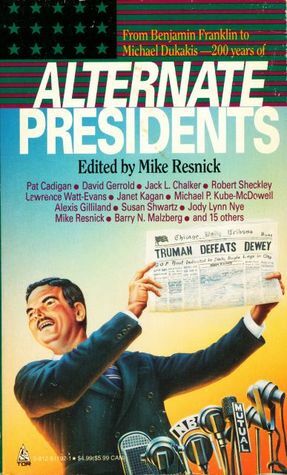 In the 1992 alternate history anthology Alternate Presidents by Mike Resnick, the story "The More Things Change..." tells the story of the 1948 election in reverse, with Thomas E. Dewey as the underdog and eventually defeats the early overwhelming favorite, the incumbent Harry S. Truman, by playing to anti-communist fears. The story contains a reference to the famously inaccurate banner headline "Dewey Defeats Truman". Given that it was regarded as a foregone conclusion that Dewey would lose the election, the front page headline of the Chicago Tribune on November 3, 1948 erroneously reads "Truman Defeats Dewey". The front cover of the anthology depicts a grinning Dewey proudly holding up the relevant edition of the Chicago Tribune in the same manner as Truman did in real life. ^ a b c d Wendt, Lloyd (1979). Chicago Tribune: The rise of a great American newspaper. Chicago: Rand McNally. pp. 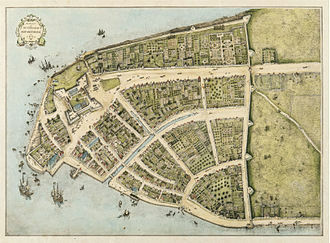 680–684. ISBN 978-0-528-81826-4. ^ a b c Jones, Tim. "Dewey defeats Truman". Chicago Tribune. Retrieved November 9, 2008. ^ "Chicago Tribune's headline draws laugh from Barkley". Zanesville Signal. November 3, 1948. p. 1. ^ "Dewey Defeats Truman". Chicago Tribune. November 3, 1948. p. 1. ^ Leip, David. "Dave Leip's Atlas of U.S. Presidential Elections". uselectionatlas.org. Retrieved October 7, 2015. ^ "Election of 1948: Dewey Does (not) Defeat Truman". Retrieved October 7, 2015. ^ "Office of the Clerk of the U.S. House of Representatives" (PDF). Statistics of the Presidential and Congressional Election of November 2, 1948. Retrieved October 6, 2015. ^ "Tribune's Arthur Sears Henning is dead at 89". Chicago Tribune. 1966. Retrieved January 18, 2016. 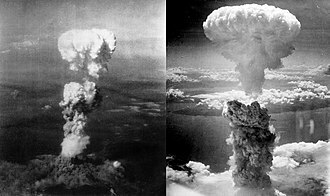 ^ "Years Mellowed Breach Between Paper, Truman". San Antonio Light. December 27, 1972. p. 11. 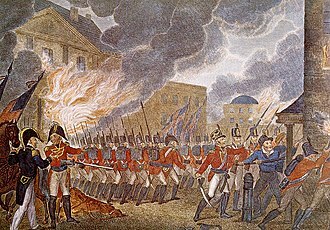 ^ "The JoC: 175 Years of Change". The Journal of Commerce. Archived from the original on July 6, 2007. ^ The page is reproduced in Michael C. Emery, R. Smith Schuneman, and Edwin Emery (eds. ), America's Front Page News 1690–1970 (New York: Doubleday & Co., 1970), p. 168. 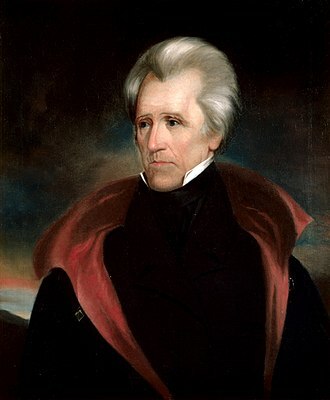 ^ "Alternate Presidents Anthology Cover". Rand McNally is an American technology and publishing company that provides mapping and hardware for the consumer electronics, commercial transportation and education markets. 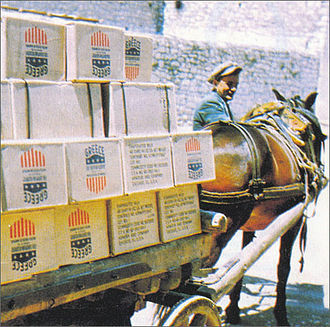 The company is headquartered in the Chicago suburb of Skokie, with a center in Richmond. 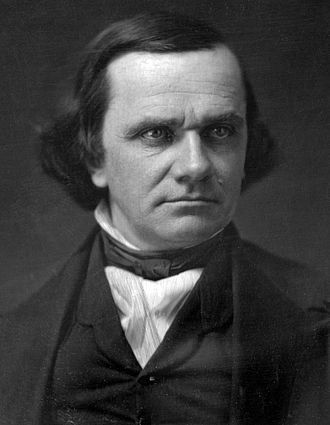 In 1856, William Rand opened a shop in Chicago. The shop did big business with the forerunner of the Chicago Tribune, in 1868, the two men established Rand McNally & Co. and bought the Tribunes printing business. The company initially focused on printing tickets and timetables for Chicagos booming railroad industry, in 1870, the company expanded into printing business directories and an illustrated newspaper, the Peoples Weekly. The first Rand McNally map, created using a new cost-saving wax engraving method, Rand McNally became an incorporated business in 1873, with Rand as its president and McNally as vice president. The Business Atlas, containing maps and data pertinent to business planning, was first published in 1876, the atlas is still updated today, now titled the Commercial Atlas & Marketing Guide. The Trade Book department was established in 1877, publishing such titles as The Locust Plague in the United States, Rand McNally began publishing educational maps in 1880 with its first line of maps and geography textbooks, soon followed by a world atlas. 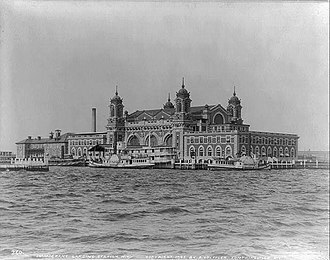 Also in 1894, the opened an office in New York City headed by Caleb S. Hammond. Rand McNally published its first road map, the New Automobile Road Map of New York City & Vicinity, in 1910, the company acquired the line of Photo-Auto Guides from G. S. Chapin, which provided photographs of routes and intersections with directions. Andrew McNally II personally took photos on his honeymoon for the Chicago-to-Milwaukee edition, the company continued to expand its book publishing business, with best-selling childrens books such as The Real Mother Goose in 1916 and Kon-Tiki in 1950. 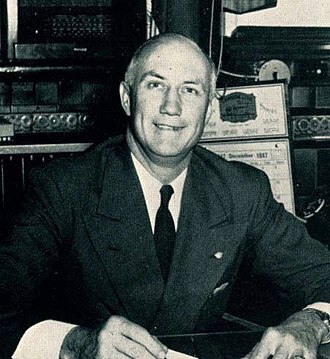 Rand McNally was the first major map publisher to embrace a system of numbered highways, one of its cartographers, John Brink, invented a system that was first published in 1917 on a map of Peoria, Illinois. 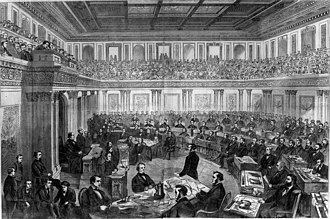 The National Security Act of 1947 was a major restructuring of the United States governments military and intelligence agencies following World War II. 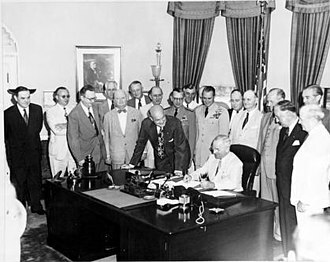 The majority of the provisions of the Act took effect on September 18,1947, the Act merged the Department of War and the Department of the Navy into the National Military Establishment, headed by the Secretary of Defense. It created the Department of the Air Force, which separated the Army Air Forces into its own service and it protected the Marine Corps as an independent service, under the Department of the Navy, prohibiting it from ever being absorbed into the Army. 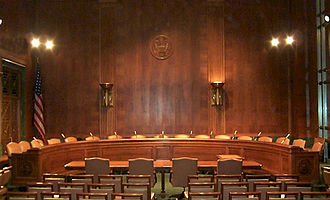 Aside from the reorganization, the act established the National Security Council and the Central Intelligence Agency. 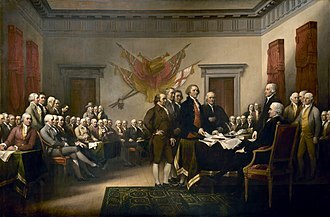 The National Security Act of 1947 was a restructuring of the United States governments military. 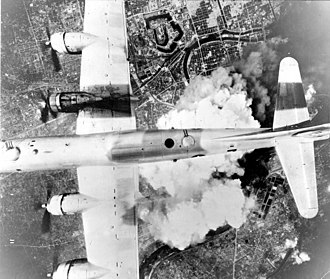 The act and its changes, along with the Truman Doctrine, the bill signing took place aboard Trumans VC-54C presidential aircraft Sacred Cow, the first aircraft used for the role of Air Force One. 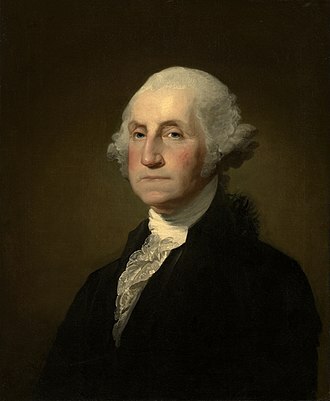 The majority of the provisions of the Act took effect on September 18,1947 and his power was initially limited and it was difficult for him to exercise the authority to make his office effective. This was changed in the amendment to the act in 1949, the Act merged the Department of War and the Department of the Navy into the National Military Establishment, headed by the Secretary of Defense. It created the Department of the Air Force, which separated the Army Air Forces into its own service and it protected the Marine Corps as an independent service, under the Department of the Navy, prohibiting it from ever being absorbed into the Army. 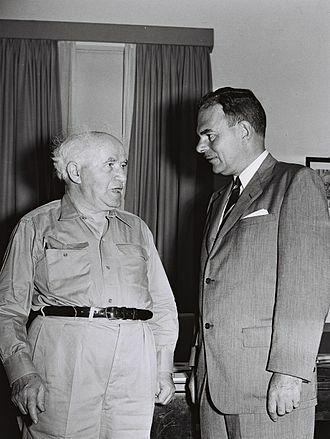 Initially, each of the three service secretaries maintained quasi-cabinet status, but the act was amended on August 10,1949, at the same time, the NME was renamed as the Department of Defense. 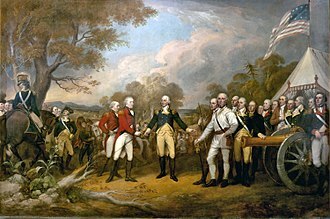 The purpose was to unify the Army and Air Force into a federated structure. S. s first peacetime intelligence agency. 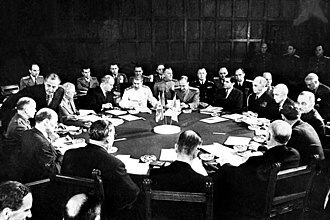 The councils function was to advise the president on domestic and military policies, the 1949 Revolt of the Admirals. Named after the Portuguese explorer, the Ferdinand Magellan is a former Pullman Company observation car which served as Presidential Rail Car, U. S. Number 1 from 1943 until 1958, the current owner Gold Coast Railroad Museum in Miami-Dade County, acquired it in 1959. The Ferdinand Magellan was designated a National Historic Landmark by the United States Department of the Interior, the Ferdinand Magellan was built in 1929 by the Pullman Company in Lot 6246, Plan 3972B as a private car. It was one of six similar cars constructed in two batches - four on Lots 6037, and two on Lot 6246 and they were named after famous explorers, David Livingstone, Henry Stanley, Marco Polo, Robert Peary, Roald Amundsen and Ferdinand Magellan. 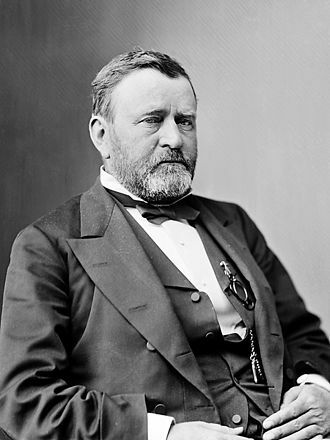 The Ferdinand Magellan was selected, and the Pullman Company rebuilt the car, the Ferdinand Magellan became the first passenger railcar built for a President since the War Department had built a special car for the use of Abraham Lincoln in 1865. The other Lot 6246 car, Roald Amundsen has preserved and listed on the National Register of Historic Places. When the Ferdinand Magellan was rebuilt for service as United States Railcar No,1, the original six bedrooms in the car were reduced to four, and the dining room and observation lounge were enlarged. 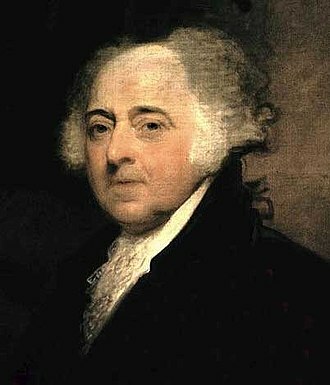 Two of the bedrooms were a suite for the President and the First Lady, with a fully equipped bathroom, including a bathtub, the dining room could be used as a conference room. 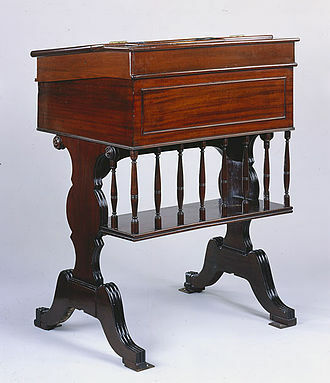 It has a mahogany table that measures 38 x 72. The front end of the car held quarters for two stewards, a pantry, a galley, mechanical equipment and ice bunkers, the car was protected with 5/8 armor plate on the sides, top and ends. The windows were replaced with sealed three inch thick 12-ply laminated bullet resistant glass, as the windows were sealed, the car was air conditioned by blowing the interior air over pipes carrying the meltwater from ice. The wheel-chair elevator was removed after Roosevelts death in 1945 and these modifications increased the weight of the car from 160,000 pounds to 285,000 pounds, making the Ferdinand Magellan the heaviest passenger railcar ever used in the United States. 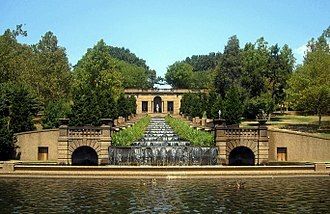 The site was designated a National Historic Site on May 23,1983. Bess Trumans maternal grandfather, George Porterfield Gates, built the house over a period of years from 1867 to 1885. After Besss father, David Willock Wallace, committed suicide in 1903, she and her mother and brothers moved into the house with Besss grandparents and Elizabeth Gates. 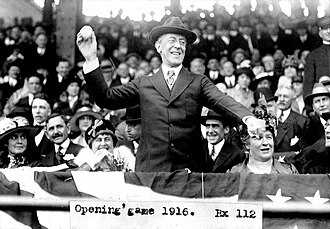 After Trumans haberdashery failed in 1922, he and his continued to live in the house to save money while he paid his debts. After being elected to the Senate in 1935, he moved to Washington, D. C. with his wife, whenever they came back to Missouri, the house at 219 N. Delaware was their home. 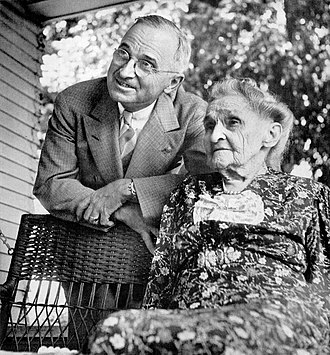 After he retired in 1953, until the Truman Library was opened on July 6,1957, bess lived in the home until her death in 1982, and she bequeathed the property to the National Park Service. The home was closed for 8 months in 2009-10 for a $1.1 million renovation that improved fire safety, visitor comfort, the Trumans only child, Mary Margaret, was born in the home on February 17,1924. The site includes the two adjacent homes of Mrs. Trumans brothers, across Delaware Street, the Noland Home, the site operates a visitors center, located inside an historic firehouse, in downtown Independence. NPS park ranger-interpreters lead guided tours of the home on a regular basis, though Margaret died in 2008, the NPS has maintained the closure in order to best preserve the home. A photo tour of the rooms, including Harry and Besss bedroom, is available. The fireplace is framed with tiles depicting a fanciful Middle Eastern desert landscape with tents and minarets, likely inspired by One Thousand, Truman is one of the few Presidents who never owned his own home prior to his time in office. The house is now located in the Harry S. Truman Historic District, the Harry S. Truman Farm Home is located 15 miles away from Independence in Grandview, Missouri. 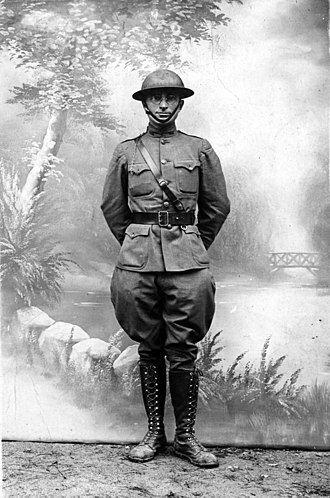 Truman worked the farm as a man, from 1906–1917. It was here, said his mother, that Harry got his common sense, there is no visitor center on the site, but the grounds are open year-round for self-guided tours, and an audio tour is available. Fairbanks's grave in Crown Hill Cemetery in Indianapolis, Indiana. 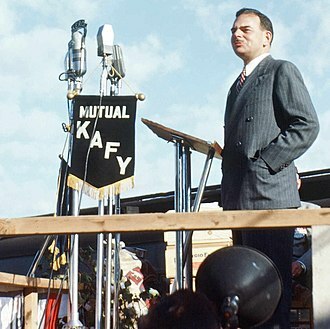 George F. Kennan (1904–2005) proposed the doctrine of containment in 1946. Dean Acheson (1893–1971), who helped craft Truman's doctrine, was named his secretary of state the following year. 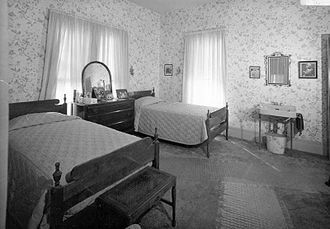 The second-floor bedroom of Harry and Bess Truman, in their home in Independence, Missouri.